4 Key Ways To Drive Content For Success – Sellience Blog – Always be Closing! 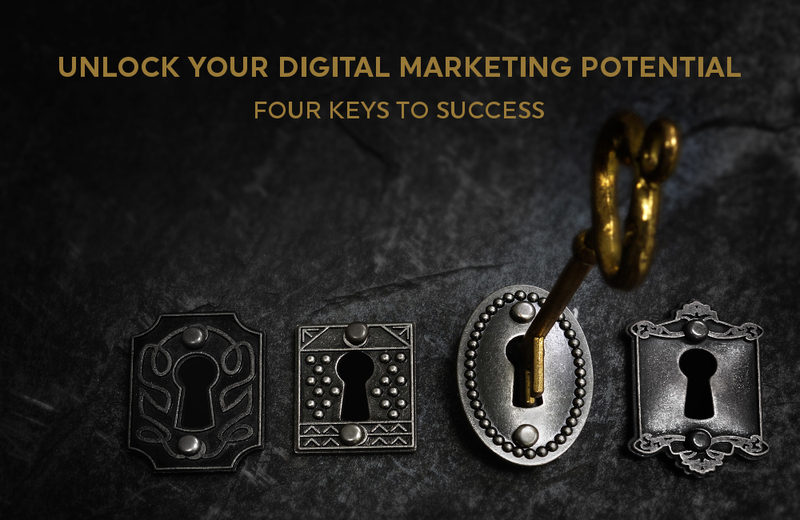 Does your digital marketing plan have clear objectives to help you reach your goals? Being online is not enough today. It never was enough, but there was a time an online presence would give credibility to your brand. Today, credibility is about being a trusted brand. Trust can grow with positive client reviews (Yelp, Yahoo, etc. ), testimonials, a large following of raving fans, value-based content that proves your expertise, and various other areas which are generally a result of planned execution. Trusting in a brand is heavily influenced by search engine visibility and traffic. Good luck receiving organic traffic if the search engines do not trust your brand. Even with strong messaging, search engines may fail to understand who you are, who you serve, and how you serve them. Search engines are limited to automated processes to understand your business model. Improper use of tags, poor coding, confusion from poorly written or verbose copy, and various technical blunders that may website owners are guilty of can paint the wrong picture of your brand online. Content Creation – Content is king in today’s competitive landscape. Fresh, actionable, and value-based information can set your brand apart from the competition. Blogs, webinars, videos, and regularly updated or newly posted content are important for multiple reasons. For example, Google and other search engines reward websites which publish fresh content that is relevant to that business, especially if it leverages keywords which are also in sync with their messaging and products/services offered. So, your plan should include a “fresh content” approach to maximize search visibility. What does that mean? Constantly be adding new and relevant content to engage and draw in return visitors. Search Engine Optimization (SEO) campaigns can be very beneficial for driving inbound leads, but there is a cost related to such initiatives. Of course, you can always find discounted programs and low-cost solutions that claim to give you maximum SEO exposure. These discounted offers often lead to disappointment and lack of success. SEO does not have to be expensive, but there will be an investment of time and money. In most instances, a 6-month campaign is required to maximize exposure and search ranking growth. And despite what many preach, SEO is not a perfect fit for every business or industry. However, even when not a perfect fit, every company can benefit from trafficfilled with visitors looking for a solution to their pain points or problems. On-Page Optimization – Even without a full SEO plan, On-Page Optimization, also known as On-Page SEO Optimization prepares your website to be visible for search engine scans and inquiries, which are automated processes designed to determine who you are, who you serve, and how you serve them. Without on-page optimization strategies in place, your content is the only key to provide web crawlers visibility into your business. Flowery content that is not keyword focused is virtually useless in these situations. Without proper use of metadata, keywords, image tags, header tags (H1-H5), analytics code, sitemaps, XML content, and other such items in place, you are likely to receive limited and poorly targeted organic traffic. On-Page Optimization is a low-cost and high reward, digital marketing strategy. Conversion Rate Optimization (CRO) – An often misunderstood and underutilized approach is Conversion Rate Optimization (CRO). While SEO plays a vital role in helping drive traffic to your site, CRO campaigns help convert visitors into customers. Or at a minimum, help those visitors take desired actions while visiting your website. Born from the direct response marketing model, CRO leverages tracking, audience testing, and on-going improvement to maximize the impact of these campaigns. CRO is often the greatest return on investment a digital marketing customer can leverage. These four steps are only the beginning, but they serve as some of the most critical ways to maximize your online return on investment. Stop living with a static business card style website and learn to drive real engagement with an optimized and holistic approach to your digital marketing strategy.If you would like some guidance or if you have questions on your path, feel free to contact me directly at paul@websitesandleads.com.